ESI's hot water wash tanks are used to remove excess salt from salt cured rubber profiles. Because the salt solidifies immediately when touched with cold-water, hot water sprayed with special high velocity nozzles is used. Tanks can be supplied in various lengths and with one or more zones. Multiple zone hot water washes are fitted with a cascading water system so that the cleanest water is used in the downstream section and the salt concentration increases in each zone closer to the salt tank. Special electric heaters, mounted to the exterior of the reservoir are utilized to avoid heater failure due to salt buildup. ESI's IR heating channel can be used for pre-heating of rubber and plastic profiles and hoses. These ovens feature high heating efficiency, digital temperature control, clam-shell opening for easy string-up and tubular steel frames. Entry and exit guide rollers are fitted. Various lengths and heating capacities can be supplied and external IR temperature sensing and control, multi-zone temperature control and heater cutoff options to avoid fires are available. ESI SD series pullers are a perfect choice for small profiles and tubing with lower pull force requirements as well as high-speed applications. Rubber coated timing belts are utilized providing "zero slip" with the drive pulleys. SD series offer adjustable belt height and are available with numerous belt materials, drive choices and speed ranges. ESI servo boosting (traveling) saws, for rigid extrudates, incorporate moving saw tables mounted on linear rails. ESI servo boosting saws provide superior cut length accuracy control by utilizing high resolution encoders in conjunction with a servo-motor and precision ball screw assembly. 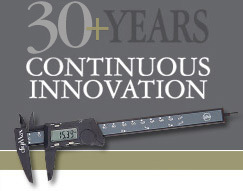 ESI servo saws have proven to produce in-line cut length accuracy of +/- .020". Models are available in either single strand or dual up configurations. ESI also provides numerous choices in blade diameter, saw motor sizes, saw platform and control packages. Combines industry leading cut length accuracy with a robust machine platform providing unmatched reliability and precision for inline and offline cut to length applications. Our cutting-edge motion controls package is spearheaded by independent directly driven servomotors and intelligent drives for each puller belt and for the fly knife cutter. This puller- cutter has been used extensively for applications which demand critical cut length tolerances with coordinated automation such as: automatically adjusting individual cut lengths in response to feature locations sensed by vision systems, locating multiple cuffs in corrugated tubing, trimming cuff length while tracking multiple different parts, and separating into different bins off the packing conveyor. ESI air boosting (traveling) saws, for rigid extrudates, incorporate moving saw tables mounted on linear rails. Saw table is matched to line speed through a clamping cylinder and air cylinder assist. ESI also provides numerous choices in blade diameter, saw motor sizes, saw platform and control packages.